'It' fans will love this creepy umbrella, inspired by a creepy surprise from Pennywise himself. Spring has sprung, and that means it’s time to break out the umbrellas to chase away all the pesky rain that comes with the season. 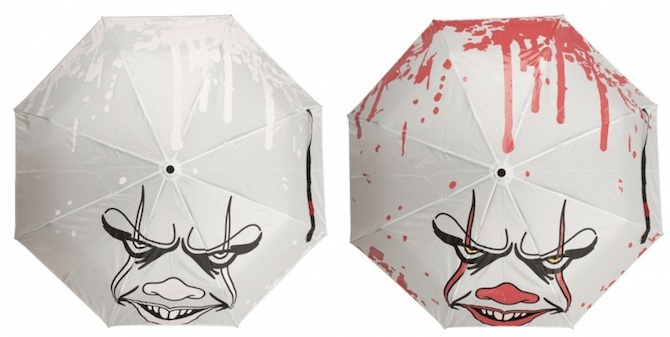 If you’re a fan of Stephen King’s It, perhaps you might be interested in this awesome-looking umbrella featuring none other than Pennywise the clown himself. 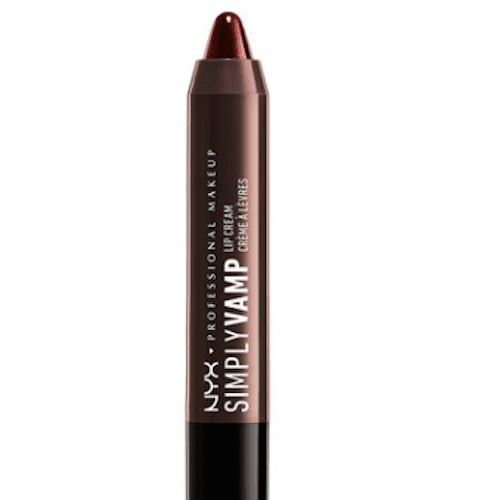 It’s got everything you might want to keep you safe from the rain: a snarling clown face, red makeup, and…blood splatter? This ingenious umbrella from the likes of Merchoid. 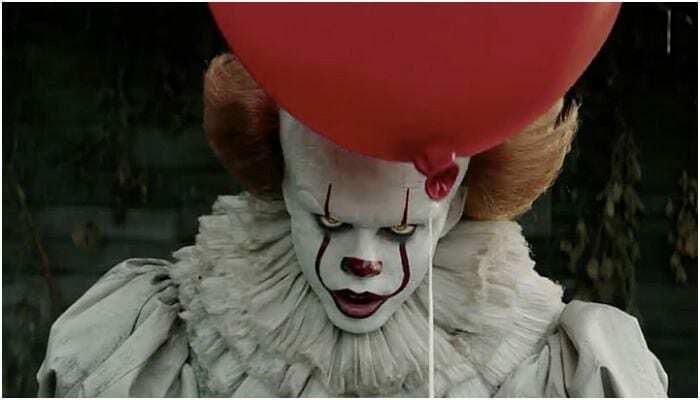 The umbrella feature Bill Skarsgard’s terrifying vision of Pennywise, and when rain comes into contact with the liquid reactive material on the umbrella, his lips, nose, eye makeup, and blood spots on the umbrella magically turn red. It looks like you’re walking around as rain pours down upon your unsuspecting head – or you’ve fallen under Pennywise’s grasp. It may be one of the coolest pieces of It merch currently out there, and it’s perfect for any diehard fan thinking often about how, like everything else in that movie’s world, they’ll float too. The umbrella is trying to make sure you don’t float away, though, that’s the thing. If you want one of your very own, it’s currently available via Merchoid for pre-order now for $22.99, and will be shipping out to eager customers in June 2019. There’s an It sequel on the way, if you can’t wait to see more of Pennywise beyond this awesome umbrella. After the first movie became the highest-grossing movie in US history upon debut for a brief time, the flick was quickly greenlit for a sequel, which is poised to hit theaters on September 6. Ready to be terrified out of your wits once more? Yeah, we thought so.